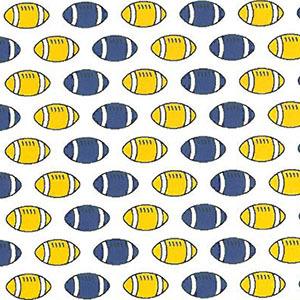 Purple and Gold Football Print Fabric. 100% cotton print. 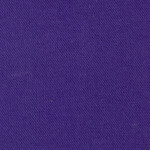 60″ fabric width. 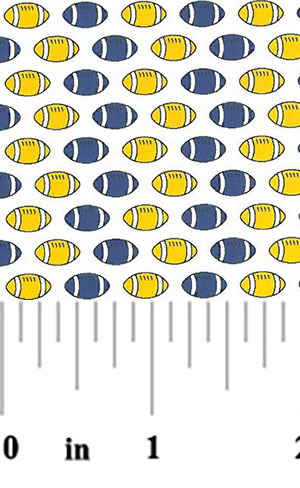 This fabric has alternating purple and gold footballs on a white background.